In-Depth: Contactless Card Issuance to Finally Get Rolling in U.S. This Year | NFC Times – Near Field Communication and all contactless technology. JPMorgan Chase will convert its Visa-branded credit and debit cards to dual-interface this year, the largest U.S. issuer to commit to supporting contactless. Others are expected to follow. The U.S. has lagged behind other developed countries for years in contactless payments, first in its EMV contact card rollout and now in contactless. The scarcity of contactless bank cards has created problems for efforts to encourage some U.S. merchants to accept contactless because of the relatively low number of potential users. The lag in merchant acceptance in turn hurt use of the NFC payments services, such as Apple Pay and Google Pay, which are accepted at the same POS terminals as contactless bank cards. 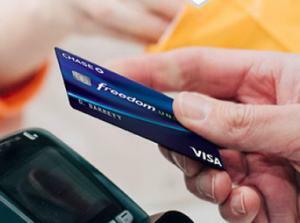 Visa, the largest payments network in the U.S., said last year that as of the beginning of 2018, less than 1% of its transaction volume in the U.S. was contactless. Most of that activity was from Apple Pay and to a lesser extent Google Pay, formerly known as Android Pay.